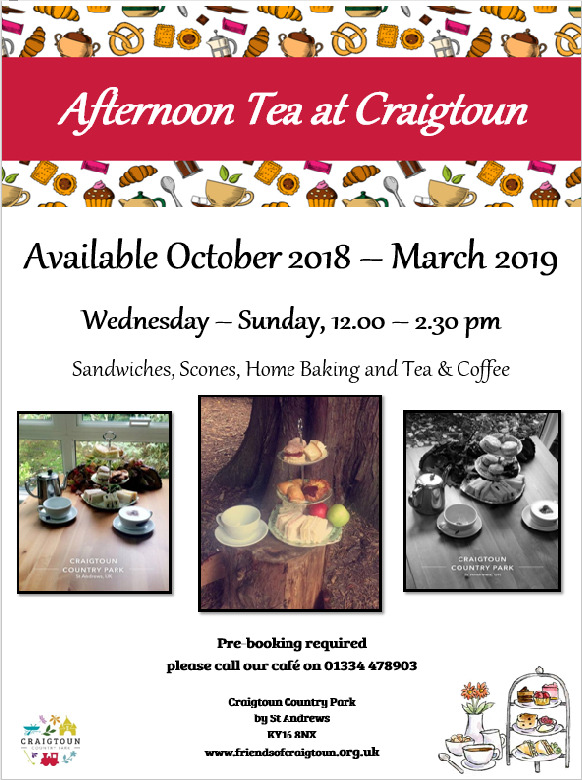 From Monday 1st October, we will be serving Afternoon Teas in the Craigtoun Cafe. Guests will be able to enjoy sandwiches, scones, a selection of home baking and tea or coffee for just £5.00 per head. Available Wednesday – Sunday, 1200 – 1430 hrs Please call our cafe directly on 01334 478903 to book.